It’s our passion to connect people with the great outdoors – to the activities they enjoy with friends and family. As a uniquely Minnesotan company we create honest, quality aluminum products we can stand behind and be proud to build. And you can be proud to take home and own too. 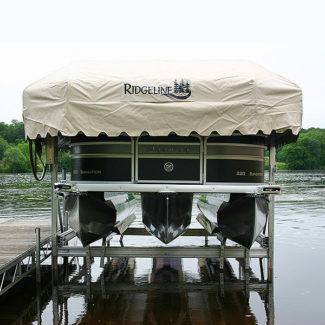 Every Ridgeline product experience is backed by our exclusive no-compromise warranties. Choose your own custom configuration with our Premium and LT lines, or pickup a kit and DiY install same day. They’re all win-win solutions. Carefully designed to lift and cover. 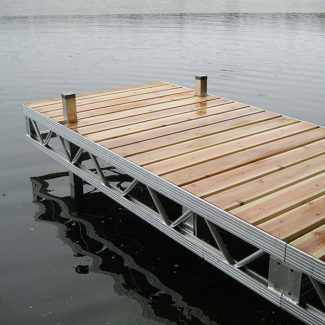 Our designs not only protect your investment, but also look great all season on the lakeshore. 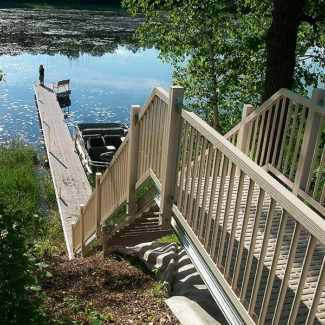 Our safe and durable systems are the smartest way to connect the house and lake. We carefully map out a plan to match the shoreline. 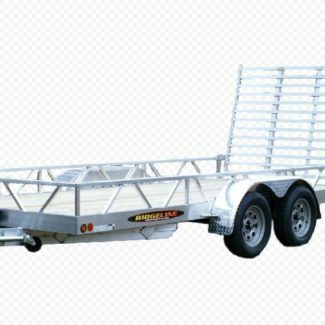 Our trailer is perfectly suited to haul your prized atv, side-by-side or any other kickass toy in your garage. Durable, lightweight and tows like a dream. 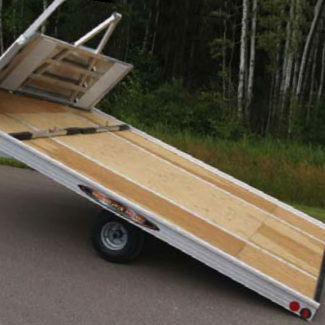 Our original trailer bed designs are the industry standard for quality and performance. Endless options, configurations and add-ons galore. 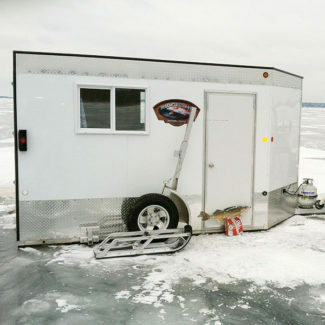 With super lightweight construction and features, our houses are built with the true ice fisherman in mind. Load up, move out and drop ‘em anywhere. Our unique compact system sets up quickly and stows easily. It’s compact enough to fit inside most RV storage compartments. Elevate any area to create an instant outdoor living space. 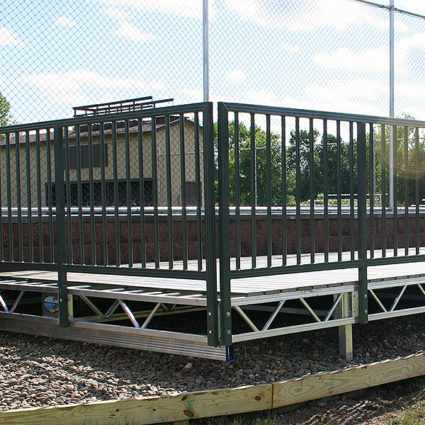 Our durable construction and clean aesthetic make it perfect for speaking events, concerts stages or any other commercial use. Like what you see? Find a Ridgeline dealer near you today!